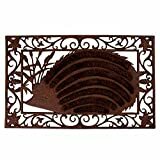 The cool new Hedgehog Doormat is a whimsical alternative to the traditional and utterly boring rectangular doormat. 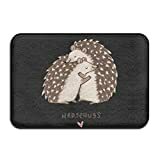 Yep, a nice doormat shaped like a hedgehog that performs the exact same task as any other, except it's more interesting. You may even get compliments like, "Hey, I love your hedgehog doormat!"